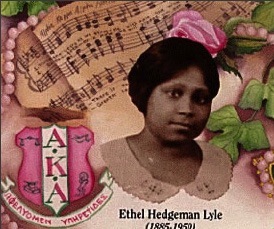 Alpha Kappa Alpha Sorority, Inc., the oldest Greek-letter organization established in America by Black college women, was founded in 1908, at Howard University in Washington, D.C., by a young woman named Ethel Hedgeman, along with 15 other young women. The premier Greek-letter organization established for and by African-American women, the Sorority was incorporated in 1913. More than 105 years after its inception, Alpha Kappa Alpha women continue the long tradition of fostering academic excellence and community service. Encompassing a nucleus of more than 200,000 college-trained women in chapters in every state and multiple countries across the globe, the women of Alpha Kappa Alpha Sorority are a recognized force for positive action. Alpha Kappa Alpha Sorority, Inc. is not responsible for the contents on this website.It is solely the property and responsibility of the Iota Tau Omega Chapter which hosts and maintains this website.